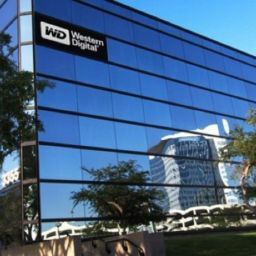 Western Digital has invented a new energy-assisted recording technology to increase storage densities on hard drives. 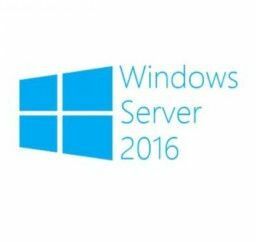 This means that more storage can be packed into the same space. 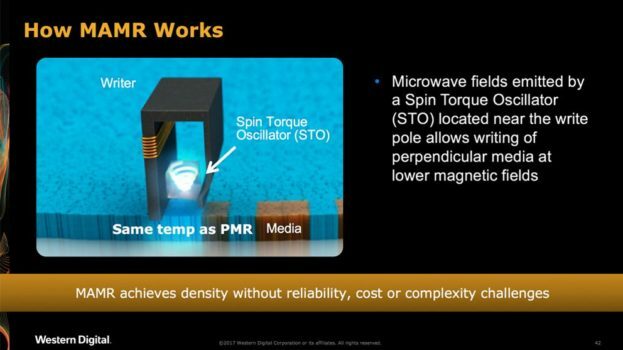 Western Digital designed a new drive head called a spin torque oscillator (STO) that creates a microwave field. This field allows data to be written to magnetic media at a lower magnetic field than conventional disks. 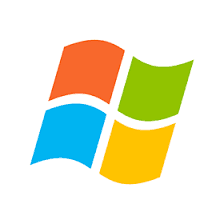 This means that more data can be packed into the same amount of space as current drive technology. This concept is known as MAMR or Microwave-Assisted Magnetic Recording. Ultimately, Western Digital says it can deliver 4Tb per square inch (single drives up to 40Tb in size). Data is stored on a drive by changing the polarity of magnetic grains on the disk. Each grain has a positive or negative polarity which translates to 1 or 0 which translates into data. When writing data the polarity on the individual grains is changed by applying a magnetic field in the direction required by that data. What Western Digital is doing with MAMR technology is generating a small microwave above the grains to reduce the amount of magnetism required to change the polarities. Since the MAMR technology can flip the magnets more quickly and at a lower magnetic field, more magnetic grains can be packed into the same amount of space. In current drive technologies, if the magnetic grains that make up the 1’s and 0’s of your data are too close together, the act of magnetizing a single grain could potentially change the grains around it but with MAMR we are able to safely house the grains closer which directly equates to a greater amount of storage for the same amount of physical space (physical drive size). HAMR uses laser technology to heat the media vs MAMR using microwaves to reduce the energy barrier.